Man announced he was going to do something ‘extremely crazy’ on WeChat before setting off bomb. A picture is emerging of the suspect in an explosion that occurred Sunday at Shanghai’s Pudong International Airport. According to an announcement on the Weibo microblog of the Shanghai police on Monday, the suspect is 29-year-old Zhou Xingbo, who hails from a small village in China’s southwestern Guizhou province. Shanghai police said Zhou “drowned himself in online gambling.” Prior to Sunday’s incident, the post said, Zhou sent a message to a group chat in messaging app WeChat in which he told fellow users that he “owed a lot of money.” “I plan to do something extremely crazy that will certainly end my life,” he was reported to have written. According to the announcement, Zhou lives in the city of Kunshan in Jiangsu province, eastern China, where he has been working at an electronics company since 2014. He left Kunshan early on Sunday morning, travelling to Shanghai by coach. Upon arriving in Shanghai, he took a bus to Terminal 2 of Pudong airport, where he carried out the explosion at 2:26 p.m. The announcement revealed further details about the explosive device used in Sunday’s attack, stating that Zhou had fashioned a bomb using a beer bottle filled with firecrackers and gunpowder. 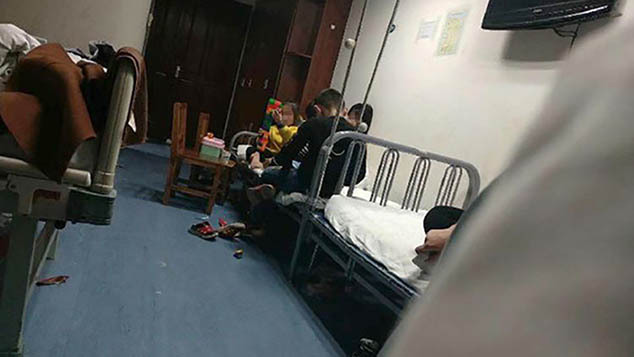 In his temporary accommodation in Kunshan, the announcement said, traces of fireworks and gunpowder were found. After Zhou set off his homemade explosive, he cut his own neck with a knife, Shanghai police said on Sunday in a Weibo post. Zhou was rushed to hospital in critical condition and placed in an intensive care unit. 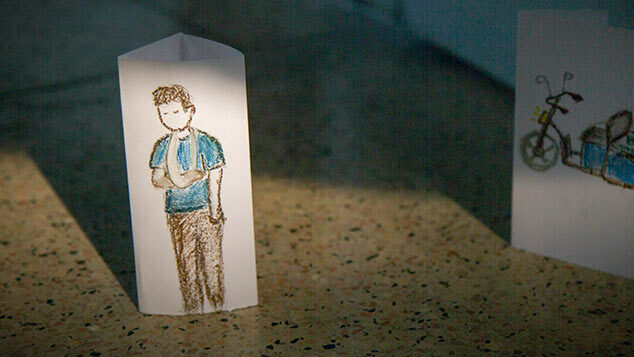 His current status is unknown. Pudong New Area People’s Hospital did not respond to a request from comment from Sixth Tone on Monday. 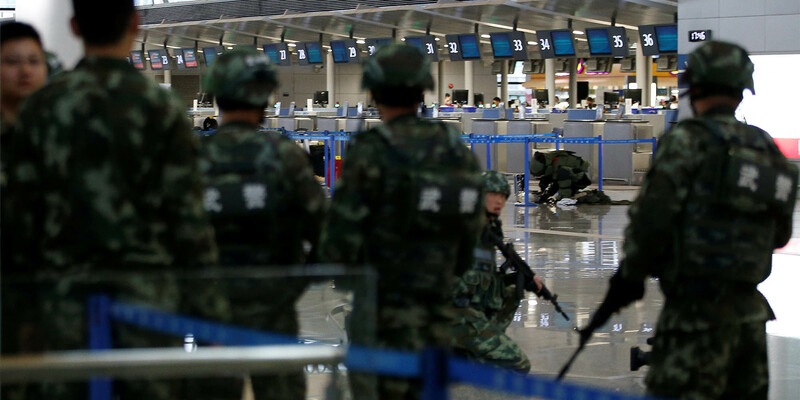 Pudong Airport has increased its security level following the explosion. Sixth Tone’s sister publication The Paper reported that the airport has placed security personnel next to every entrance. Several airlines have reminded their customers to arrive hours ahead of departure, as more passengers than usual are asked to open their bags for inspection, leading to longer lines. Monday’s post by the Shanghai police said investigations are ongoing. With contributions from Kevin Schoenmakers and Fu Danni.